Many organizations use both SharePoint to manage content and SalesForce to manage customer relationships. But, in doing so, often create extra work for themselves by not linking the two applications to communicate seamlessly. 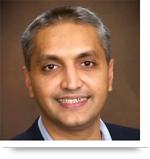 Maintaining data at both ends becomes problematic and is an unnecessary hassle. However, this difficulty can be overcome by integrating SalesForce and SharePoint so they share data seamlessly. There are several methods for integrating these technologies. The following method uses WCF (Windows Communication Foundation) and ECT (External Content Type) to link SharePoint with SalesForce. The integration process takes place in three phases involving SalesForce, the WFC service, and SharePoint 2010. The first phase involves creating an ‘Enterprise WSDL’ document from SalesForce.com. This document will be used by the web service offered by the SalesForce CRM to pull or push data. Login to your SalesForce Developer account. Click on the API link on the ‘Developer Node.’ Please note that the API/web service is only available to Enterprise or Unlimited Editions. Scroll through the various download options available and select ‘Generate Enterprise WSDL’. This will generate an XML file. Now you’re ready for Phase Two. 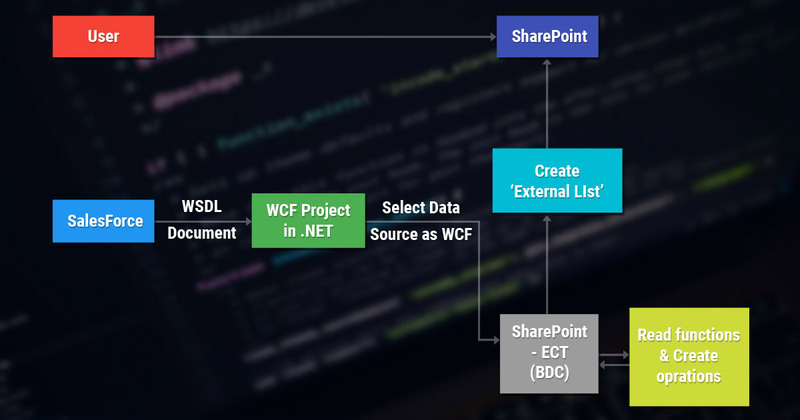 In this phase, we will create a WCF web service which can easily be integrated with SharePoint BDC. Create a new project in Visual Studio and select WCF Service Application from the templates window. Moving forward, a new project with the necessary project structure is created along with the creation of some default files. 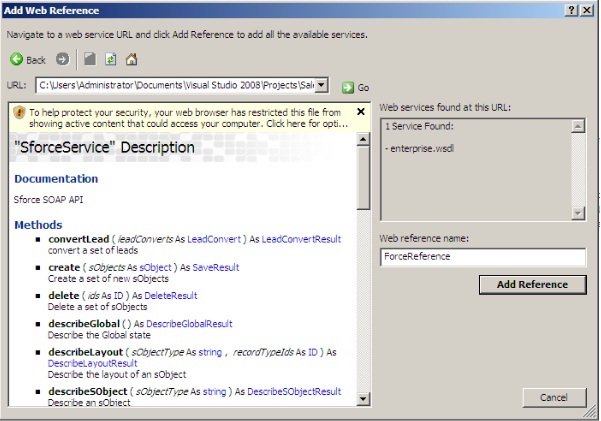 Add the SalesForce WSDL file by right-clicking on the Visual Studio project and selecting ‘Add Web Reference.’ Choose your wsdl.xml file generated in Phase One as the file. From here we can create methods to help us view, insert, and update data between SharePoint and SalesForce. Once finished with the code, it is time to deploy the WCF service to a server in Phase Three. In this phase, we will make SharePoint use the SalesForce data. We will achieve this by using an ‘External Content Type’ (ECT). Open Microsoft SharePoint Designer to create the External Content Type. While creating the new ‘External Content Type’ you need to ‘Add Connection’ and select ‘Data Source Type’ as WCF. The URL will be the one where the WCF service is deployed on the server. 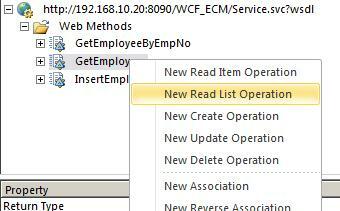 Once the WCF service is configured, we need to define the relevant operations for the list generated one-by-one. After this, we will create an ‘External List’ by clicking on ‘Create List & Form’ on the ribbon of Microsoft SharePoint 2010 designer. This will create an External list using the same ‘External Content Type’ we created earlier. Now a user can view, add new records, or edit existing records easily since now they are working on SharePoint. Doing so simultaneously updates these records on SalesForce. Thus seamless communication between both systems is achieved. Questions? Please leave your questions and comments below and our experts will respond. If you’d like assistance integrating your SalesForce with SharePoint you can contact AllianceTek to schedule a free meeting. Call us at 484-892-5713 or Contact Us today to learn more about Salesforce integration with SharePoint 2010.